Hi there I hope you all had a great weekend and are ready for another new week filled with inspiration. But before I show you the card for today I would like to congratulate one of our teamies since it's her birthday today!!!!!!!!!!!!!! Congratulations Kelly and have an awesome day. Sometimes we just create cards without anything on our minds. I had no plan, no sketch just had fun stamping and this card was made in seconds ( not really ofcourse). I love how it turned out hope you do too. The German phrase Glück ist Freunde wie Dich zu haben means It's Lucky to have you as a friend. I used once again a top folded cardbase and stamped the sentiment Glück and ist. I again stamped the word Glück on a scrap of paper and fuzzy cut it to mask of the stamped word. Then I stamped the clovers at random and colored them with copics. To finish of this pretty CAS card I took a black banner and white heat embossed the other sentiment. Just pick a stampset and look at it. If you have nothing in mind just stamp and see where it leads you. You probably will be surprised. 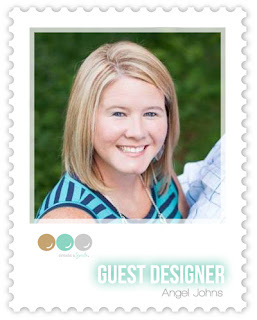 So, her blog My whole stampin' world is worth a visit! Tell her I send you and leave her some love, please. Thanks! I am so honored and excited to be back on the Create A Smile blog again sharing another card. I always love the part before putting a card together of choosing what stamp set to use. Am I going to make a bright and cheerful card? Am I going to use watercolor? Am I going to use something old or new? Do I need to make a birthday card for someone? There's always at least 5 different things going on in my head at one time. It gets very crowded in there sometimes. Hee Hee! For today's card, I chose to use an older stamp set called Whimsical Wheels. I picked it up a few months back but like a good bit of my stamps I hadn't used it yet. 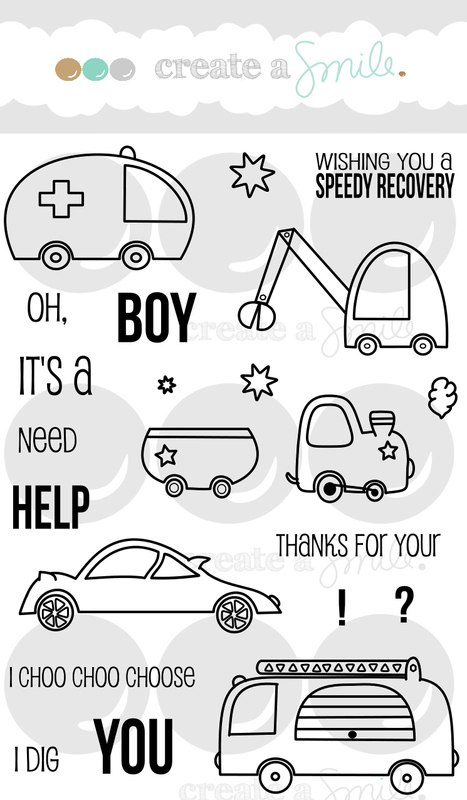 I wanted to make a cute card for my oldest son so a masculine card was what I had to think about creating. I used a couple of patterned papers from the Feel Good paper pack to create the background. Next I stamped three of the race cars on to a piece of white Copic card stock and colored them in using three different colors of red Copic markers. I colored a wood veneer from the Word Bubbles collection using the same red Copics to give it some what of a ombre look. I stamped the sentiment from the Whimsical Wheels set on to a piece of black card stock using Versamark ink and heat embossed it using white embossing powder. I hope you've enjoyed the card I created today and were inspired to use an older set that you may have or have purchased and haven't used yet. No judgement here! Thanks for taking the time to stop by and hope you will leave me some love in the comments! I've enjoyed filling in and being a part of the blog for this month! Thanks for having me, Christine! Hi stampers! Anni here! Today I have not one, not two... but three cards for you! I get excited about strange things - I am honest. For exammple in the new set "Friends & Couples" are the cutest critters! But do you know what I love most about this set? The banner! And especially that you can place the sentiment in it! So I was thinking about with which other set I could use the banner with! And there were A LOT of ideas coming. Today I want to show you these three. The first one is the "traditional" one you see above: Two creatures are holding the banner! You can use what ever creatures you like for this. The second one is to place the banner between two palms. The last one is to use the banner as decoration. When I make more than one card at once I try to use the same products and techniques on each card. For these three cards at first I stamped, colored and fuzzy cut all the images I wanted to use. After that I used some masking fluid on them. The masking fluid on the first one was dry when I finished the third one. Perfect! As soon as the masking fluid was dry I did some ink blending. Maybe you recognized that I used the same mask for the snow hill on the card with the penguin and the one with the island. And also used the same ink colors. After that I only had some die cutting and adhering to do. An easy and fast way to make a few cards at once. I would love to see what you do with this banner. Do you have additional ideas? Please leave your link in the sidebar. 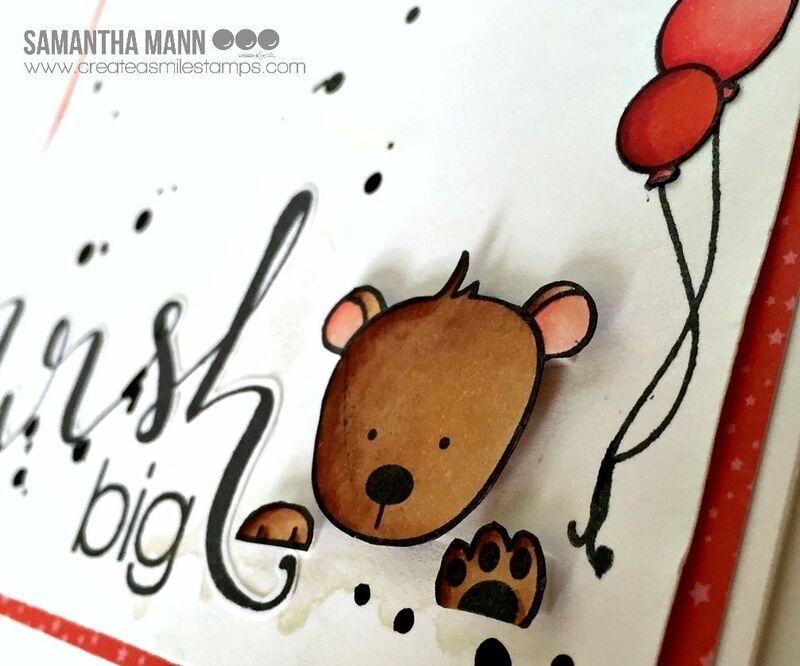 It's Samantha here, and today I'm sharing a really fun way to create a birthday card with multiple stamp sets! It's so easy, and really, just happy! To create this card, you'll need some patterned paper, white cardstock and your favorite coloring supplies! For this card, I used three stamp sets: Poppin' Over, Monster Party and Make a Wish! Well, I think you know what I'm going to say: just switch up the color scheme and BAM instead masculine card! ha! Also, do a little masking and BAM easy one layer card! 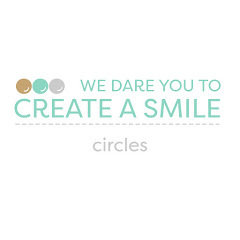 Do you play along with Create a Smile stamps and products? If so, you should link up your project! Just look to the right of this page and you'll see the link up! More often than not, Christine shares your incredible creations on the blog, on Facebook and on Instagram! Thanks again for stopping by and sharing a little part of your day with me! I hope you were inspired, or even just had a good smile! Hello crafty friends, Yoonsun here! 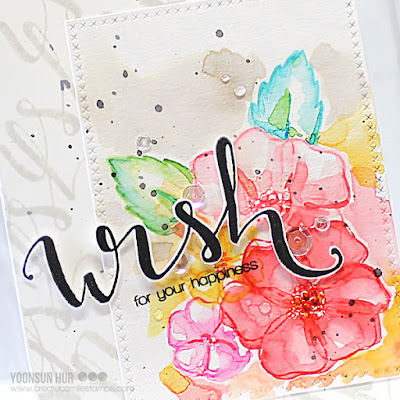 I am back with my all time favourite Magic Flowers and Make A Wish stamp sets. 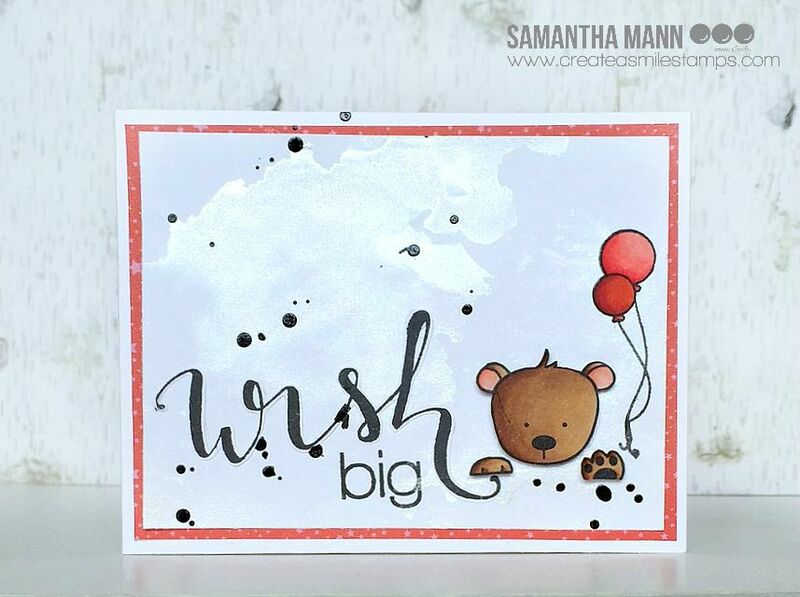 For the script background: Stamp 'Wish' diagonally onto the white card base using grey ink -I used Simon Says Stamp Fog Gray dye ink. Stamp the outlined flowers and leaves onto the watercolour panel with Distress inks and then colour them with the same colours that you used for the stamping. 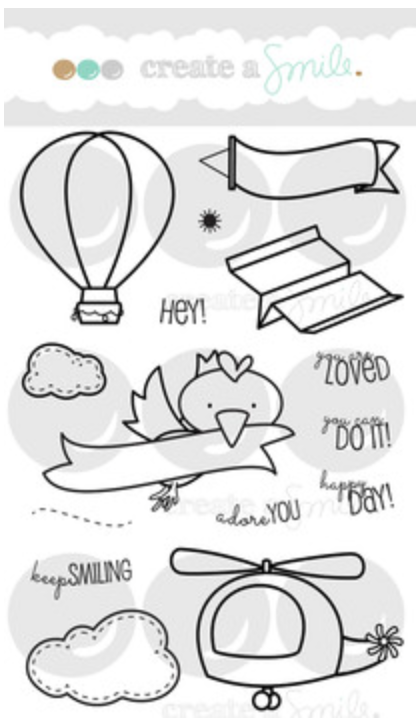 Stamp the sentiment on the white card stock using black pigment ink, fussy cut it. Mount all elements as shown to the stamped base. Embellish with a few clear sequins. 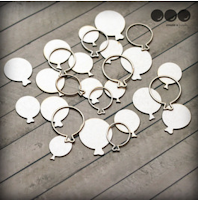 Surprise, surprise - we're offering 15% off storewide!! Time to get your hands on your favorite products! Hi everyone! 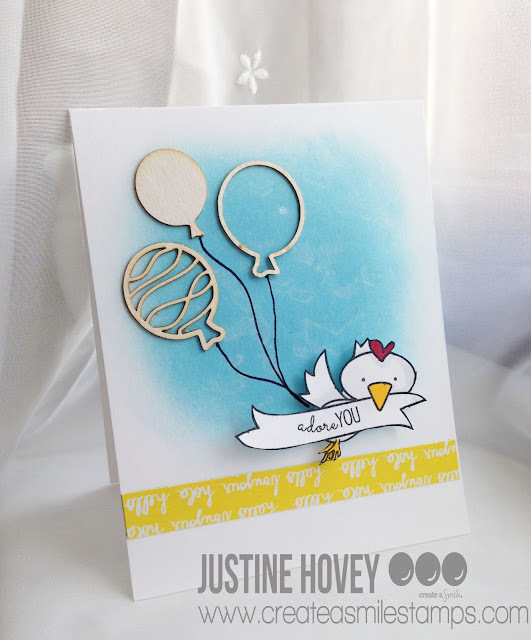 Justine here again showing you how to create a background with distress inks in the middle of the card without getting any "lines"
I wanted to use this adorable stamp set with a sky background. 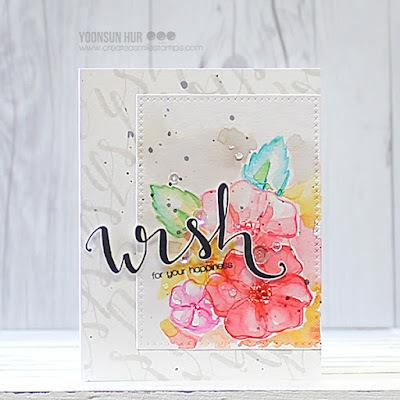 Often, I see video tutorials that tell you to start off the cardstock and work your way in to get the perfect blended background. I wanted the blended background in the middle though so I tried it out. Check out my video tutorial on how to get a perfect blended background starting in the middle of the card. The trick to this technique is to pick up the ink from the pad, tap it off on a craft mat and then begin lightly, in small circles in the middle of the card. Don't forget to check your background paper to make sure it is right side up ;) I forgot to do that! To see the rest of the supply list, check out my blog! 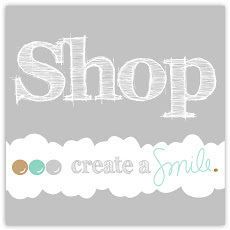 That Create a Smile will soon be carrying Pretty Pink Posh sequins! Until next month everyone! 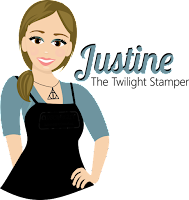 Don't forget to stop by my blog and say hi! Video Tutorial - Hi there! August Release Countdown "1" - Giveaway time! Saturday Scrap Scenes with Terhi - Today?